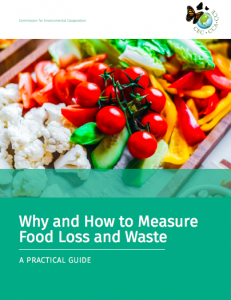 A new practical guide and technical report for measuring food loss and waste across the food supply chain has been released by the Commission for Environmental Cooperation. Provision Coalition, a leading voice on sustainability for the food & beverage manufacturing sector in Canada, was on the expert advisory committee, collaborating with the U.S., Mexico and other Canadian experts. “With an estimated 43 percent of Canada’s avoidable food waste occurring in processing and manufacturing, there is enormous opportunity for companies to take action and positively impact the environment- and their bottom line,” Provision Coalition has shared on their website here. The guide, which you can access here, will walk you through seven steps for measuring food loss and waste within your business, city, state or country.